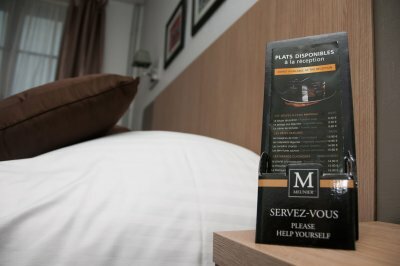 Want an all-inclusive rate for your business trip to Le Havre? If you prefer to eat out for your evening meal that is not a problem for you will find many restaurants located 5 minutes walk from the hotel. 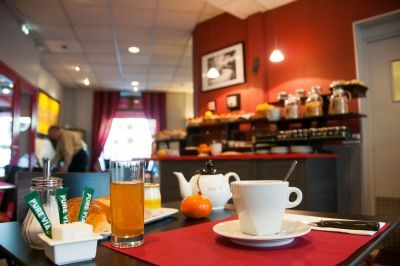 Hotel Carmin is ideally located in Le Havre center, a 15 minutes from the SNCF train station and 2 minutes from the tram. Havre is the most important city in Normandy, listed as a UNESCO World Heritage Site since 2005, this city has many surprises to discover during a weekend. Such as the Hanging Gardens in the city center, with the sea front or Park Rouelles.